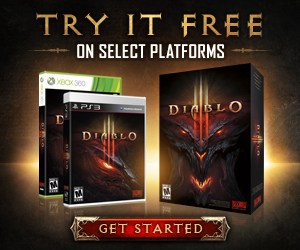 Diablo III patch 2.0.4 is now live in the Americas. Check out the full patch notes below to learn all about the latest changes. Important: Please note that you will not be prompted to download patch 2.0.4 until the patch is live in your home region. If you are logging in from a European or Asian client, you will need to wait for this patch to release in that region before it can be installed. Additionally, if your home region is in the Americas, you will be unable to log into Europe or Asia using Global Play after patch 2.0.4 is live until those regions have also patched. For a list of up to date hotfixes, please go here. Toughness, DPS, and Healing statistics are guideline stats. Some stats were contributing too much to the overall total, such as Life per Resource spent, and the total now should be more accurate for players who rely on these estimates for making their gearing decisions. Actual healing being provided has not been changed.